"Is not a side story." 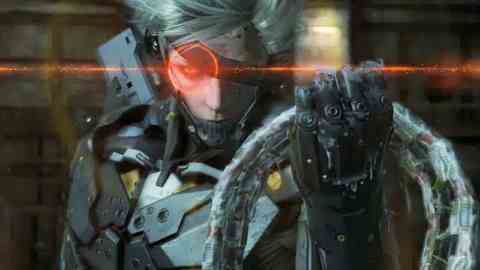 Metal Gear Solid: Rising, the spin-off starring androgynous sword-slicer Raiden, will spawn a standalone series. That's according to the game's producer, Shigenobu Matsuyama (translated by Andriasang), who said: "MGS Rising is not a side story. We're aiming for two Metal Gear Solids, making a series out of another standard." During an E3 2010 roundtable reported by Shacknews, Matsuyama fleshed out his comments. Rising is set between Metal Gear Solid 2 and Metal Gear Solid 4, and will reveal how protagonist Raiden changed from his first appearance in MGS2: Sons of Liberty to the cybernetic ninja seen in Hideo Kojima's PS3 opus MGS4: Guns of the Patriots. We got our first glimpse of the game at E3 earlier this month via a gameplay trailer you can see below. Rising will be released for PC, PS3 and Xbox 360 in 2011.